Chamomile is widely known for its anti-anxiety properties and other health benefits. The tea can be used as an all-natural antidepressant, muscle relaxer and immune system booster. But it also has many beauty benefits. It soothes irritated skin, calming down inflammation and sensitive areas, and helping speed up healing of minor injuries and sunburns. Its antibacterial properties help fight acne and breakouts. 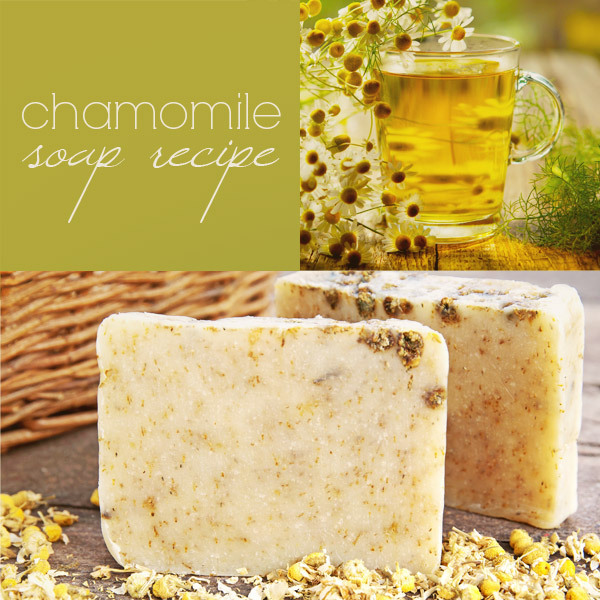 Chamomile also acts as a mild skin-bleach, lightening up your complexion and giving you a nice, healthy glow. This recipe incorporates chamomile three ways: using chamomile infused olive oil, chamomile tea and actual chamomile flowers for decoration and mild exfoliation. 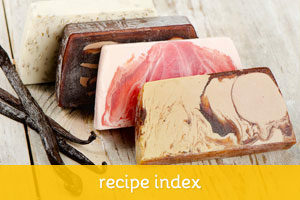 The resulting soap is soothing, with a creamy lather and a subtile, tranquillising chamomile scent. 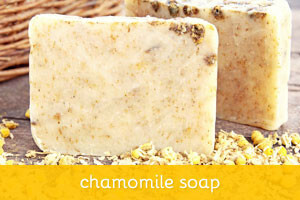 If you prefer a stronger scented soap, you can optionally add a few drops of chamomile essential oil at trace. 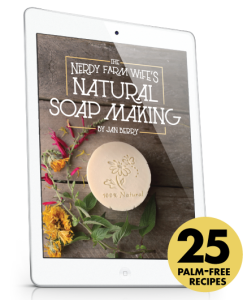 Follow standard soap making procedures and replace your water content with a strong chamomile infusion. I used it very cold and kept the soap’s temperature on the low side (~100F) throughout the process to try and preserve the properties. Dried chamomile flowers and essential oil can be added at trace. I did not insulate this batch and put it in the freezer (in a silicon mold) to prevent gel. 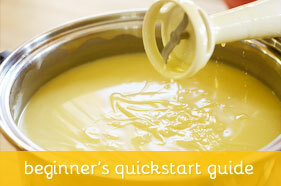 Always run a recipe through a lye calculator before attempting a batch and remember: safety first!